Earth Day Texas is celebrating its fifth anniversary with a panel of distinguished speakers. Two of the most notable are Karenna Gore, eldest daughter of global warming trooper Al Gore, and former Houston Mayor Bill White. Gore, director of the Center for Earth Ethics at Union Theological Seminary and author of Lighting the Way: Nine Women Who Shaped Modern America, will give an address on April 24 at 5 pm called "Integrity and Earth: Honoring Our Roots While Enhancing Progress." White will participate in a conversation with Bill Hammond, president of the Texas Business Association. 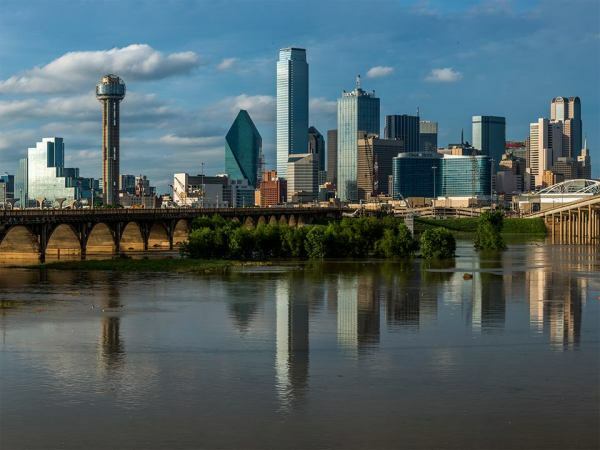 "We've invited regionally and nationally well-known speakers to engage the business community and the family at this year's event," says Earth Day Texas founder Trammell S. Crow. "Speakers at this year's event reaffirm our organization's goals to positively influence the way Texans think, live and work." Other speakers booked include "tiny house" enthusiast B.A. Norrgard, who will demonstrate her hand-built, 112-square-foot home. Lt. Gov. Dan Patrick will make a speech on Saturday about the importance of a clean environment for the economy. Also on Saturday, Texas Railroad Commissioner Ryan Sitton will debate fracking with Adam Briggle, a representative of Frack Free Denton. On Sunday, there will be a panel on New Urbanism featuring Dallas City Council member Scott Griggs, former council member Angela Hunt and urban designer/Walkable DFW founder Patrick Kennedy. The event also will feature presentations on farm-to-table cuisine, including a panel discussion on "clean food" moderated by Edible DFW's Nancy Taylor with Hibiscus chef Graham Dodds, as well as an onstage interview with Chad Houser, chef and executive director of Cafe Momentum. 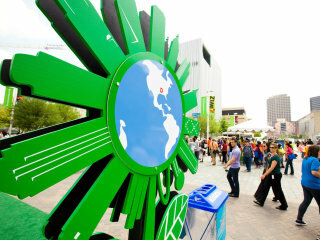 Earth Day Texas has expanded to three days for its fifth iteration. It runs April 24-26 at Fair Park. For a complete list of speakers, visit the Earth Day Texas website.